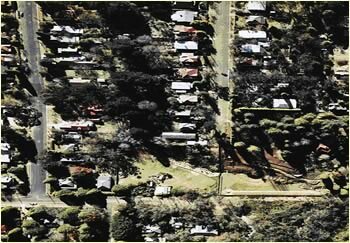 1947: The Braes Site and an undeveloped adjoining Karoola and Kooyong – 1947, following the initial engagement of Paul Sorensen. The front walls and driveway are observable, the terrace in front of the cottage on the knoll is clearly observable. 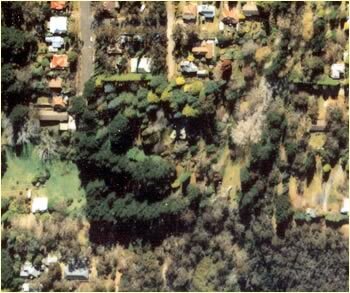 1959: Radiata pine curtilage to the knoll heritage garden is clear as the garden takes further definition. 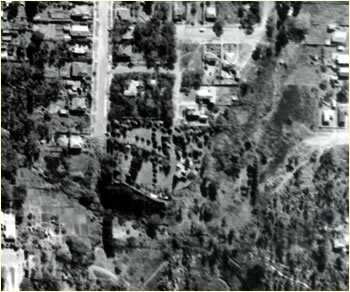 The market garden activities at Karoola to the west are clear and the home at Kooyong is evident in the lower right hand corner of the photograph. 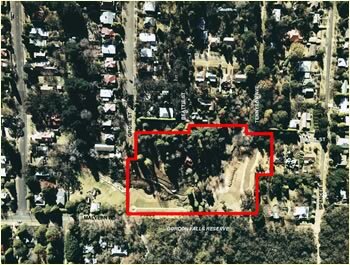 The radiata pines, removed with Council approval in 2002/2003 are now classified as environmental weeds. They prevented any growth, sunlight or breezes to flow from east to west or from north to south. Karoola had ceased to be a market garden, but reflected an open meadow. 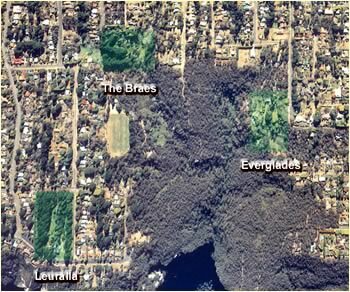 2004: The aerial depicts the removal of radiata pine in Grose Street and lot 34 in particular, in preparation for the replacement of the curtilage with a less intrusive planting at the Braes adjacent to Karoola. 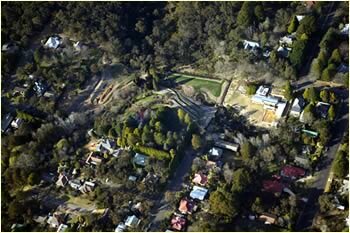 2006: Aerial photographs in 2006 revealed the significant change at Karoola and its extensive development. 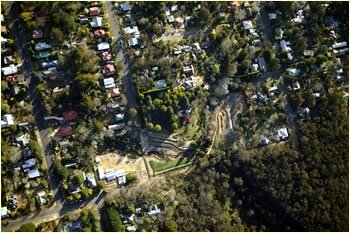 2006: This aerial depicts further restoration work at The Braes, the development of terraces following the removal of trees approved by Council and the significant development of buildings and terraces at Karoola.